Pittsburgh native Rebecca Clever is founder, editor and publisher of Blast Furnace. Over the past two decades she has served as a reporter, newspaper editor, columnist, promotional and technical writer, and book editor/designer. Her poetry, non-fiction and interviews have been published in various newspapers, literary journals and anthologies. 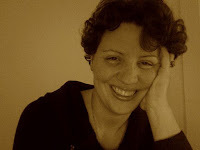 In addition to receiving a Pushcart Prize nomination, she is the first recipient of the Laurie Mansell Reich poetry award, co-sponsored by the Academy of American Poets and Chatham University, was a quarter-finalist for the Nimrod Literary Awards Pablo Neruda Prize for Poetry, and a past nominee for the AWP Intro Journals Project. In 2015, she completed a residency fellowship at the Vermont Studio Center. Rebecca received her MFA in Creative Writing from Chatham in 2011, where she was a finalist for best thesis. She resides in the Greater Pittsburgh Area with her partner, Theresa, their children and ten pets.